My C.A.S.E. Studies: Surprise Birthday Blog Hop! 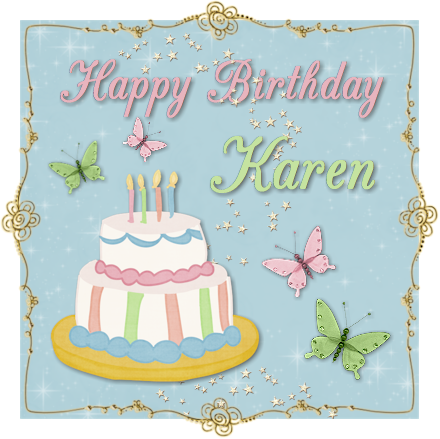 Today we're having a Surprise Birthday Blog Hop for our super sweet Your Next Stamp "boss" Karen! If you've come from Simonne's blog, then you're on the right track, but if you've just happened upon my blog, you'll want to go back to her blog because Simonne has something just fabulous I know you'll want to see! I used the cute and fun Hula Hoop Fhiona and the Sketch For You To Try. I colored Fhiona with copics, then did just a bit of shading on her clothes with colored pencils and odorless mineral spirits. I wanted something special for this card, so I made my first accordion folded medallion. I used a piece of patterned paper 1/2" x 12" and folded every quarter inch. I glued glitter to all the tops of the folds, then added a button tied with embroidery floss. I cut apart the "Have a Hoopy Birthday" sentiment and used my stamp positioner to get the 2 words lined up correctly, then cut them into a little flag and stuck it under the medallion. All the papers are from Echo Park. Just a quick reminder - Karen's birthday sale is still going on, so don't forget to head over to the store after you're done hopping! The next stop on the hop is Beth. When you've finished hopping, we'd love for you to stop by Karen's blog to wish her Happy Birthday! Thanks for joining us today! 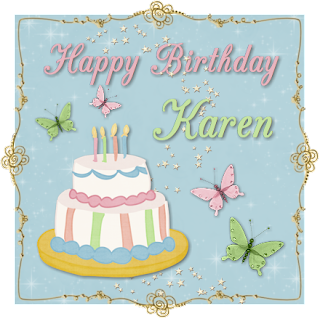 Karen - Happy Birthday!! You are such a sweet and wonderful person and I'm so glad to know you!! I hope you have a most wonderful day! Love your card....soooo super cute. Love your birthday card! You have such detail to all the layers! TFS! Have a great week! I love this Maureen! Your flower is super cool and as always I just adore your coloring!!! Thank you for the sweet birthday messages! AWWW this is SOOO much fun, love this cute image and your fantastic design!!!! What a great bday card! Wow Maureen! Your coloring rocks!! The medallion is perfect and beautiful! Karen will love it!! Fantastic card and the coloring is just awesome! I really would love to learn how to do this! The girl in the card is really so adorable. I like the colors that you used and the layout is perfect. YNS Christmas New Release Blog Hop!